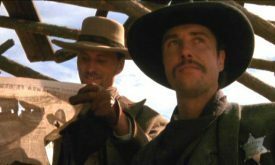 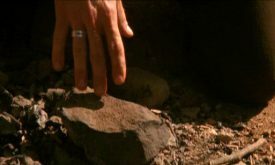 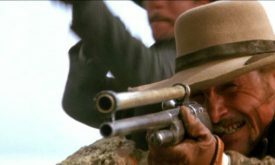 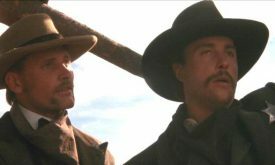 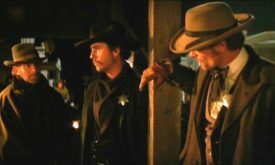 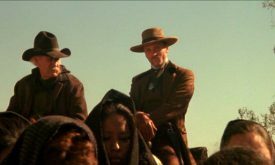 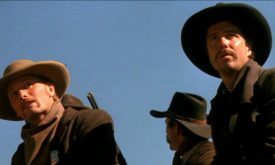 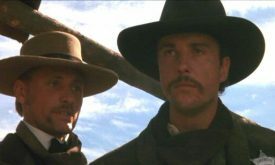 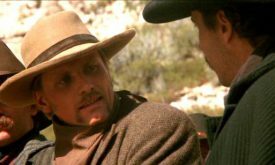 Billy “The Kid” and his gang are on the run for Mexico, chased by Pat Barrett, formerly one of Billy’s partners. 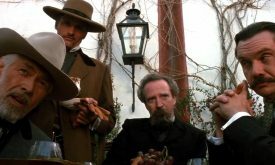 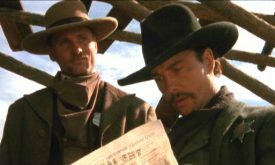 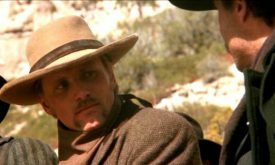 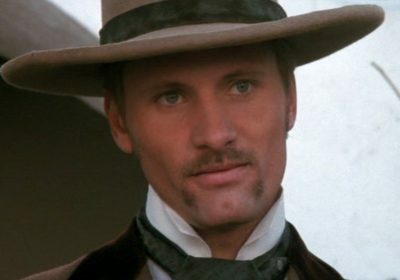 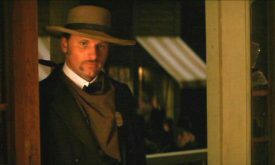 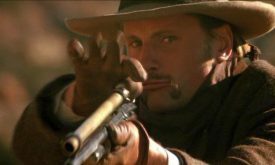 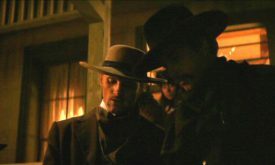 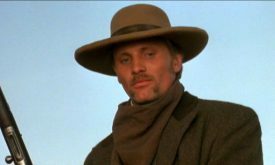 Viggo Mortensen plays John W. Poe, a by-the-book contract lawman who’s determined to bring them in and doesn’t much care who gets killed in the process. 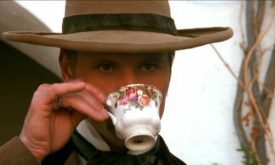 Lots of young male star power, at times charming and entertaining. 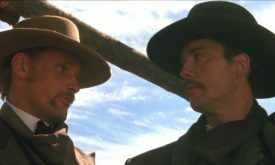 Their decision-making is often incoherent and the plot is confusing. 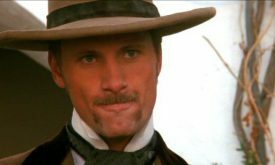 Viggo has a relatively small part but he looks good in the hat. 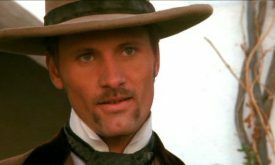 Images © Morgan Creek Productions.